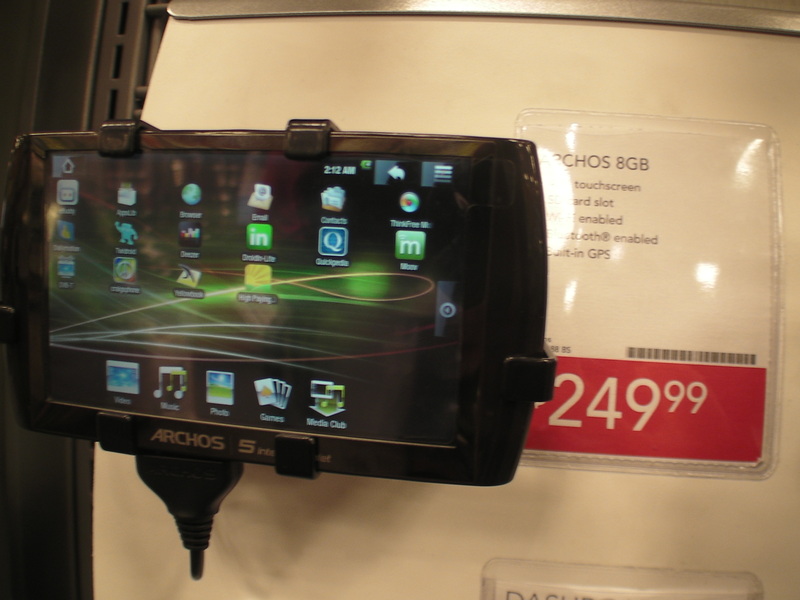 And here is what you can find in all Radio Shack stores in the USA, the Archos 5 Internet Tablet (8GB) selling right there for a very affordable $249 price. If Archos markets this device the right way and provides a perfect Android firmware for it with full Google Marketplace integration, and soon announce 3G and 7" versions and solutions for Camera and Compass, I think Archos has a huge opportunity right there to make a very big influence on the market. You can follow my extensive HD quality video coverage from CES here on http://armdevices.net during the next few days.